Understanding and responding to PLA collaboration will require closer engagement between governments and universities. While universities haven’t self-regulated on this issue and haven’t controlled the associated security risks, universities and researchers will not effectively limit the risks of PLA collaboration on their own until governments develop clear policies on it. Governments need to explore a wider range of tools for limiting technology transfer, including better scrutiny of visa applications by Chinese military scientists and further legislation targeting military end users. Governments should also consider increasing funding to strategic science and technology fields, while actively limiting problematic foreign investment in those fields. Universities must recognise the risks of such collaboration and seek to learn the extent and nature of their collaboration with the PLA by actively working with government, civil society and security professionals. While countries such as Australia and the US pride themselves on their scientific achievements, their universities and research institutes face limited or declining domestic funding.9 To address these issues, many universities have turned to China—an emerging scientific powerhouse that has sought to build ties to scientific communities around the world.10 This collaboration has generally been a productive and welcome part of the Australia–China relationship. The Chinese military has also ridden this wave of research collaboration, sponsoring more than 2,500 scientists to travel to universities in technologically advanced countries such as Australia as students or visiting scholars over the past decade.11 The volume of peer-reviewed literature produced by PLA scientists in collaboration with foreign scientists each year has grown steadily since 2008, following increases in the number of PLA scientists sent abroad (Figure 1).12 Those scientists work in strategic and emerging technology sectors such as quantum physics, signal processing, cryptography, navigation technology and autonomous vehicles. The PLA’s program of sending scientists abroad is different from standard military exchanges, in which military officers visit each other’s institutions. Those open exchanges build understanding, communication and relationships between militaries. In contrast, the PLA National University of Defense Technology (NUDT, 解放军国防科学技术大学) appears to conceive of its military exchanges separately from its international research ties, which are concentrated in foreign universities and not military institutions.13 Scientists sent abroad by the PLA have minimal or no interaction with military personnel in their host countries. Some of those travelling overseas have actively used cover to disguise their military affiliations, claiming to be from non-existent academic institutions. Around half of those sent abroad are PhD scholars who either complete their doctorates overseas or spend up to two years as visiting PhD scholars and who can usually be identified by searching peer-reviewed literature. While most come from NUDT, the Army Engineering University is another major source.14 The remaining half are sent overseas for short-term trips, spending up to a year as visiting scholars. Few of those scientists have left online traces of their time overseas. While foreign universities’ ties with the PLA have grown, it isn’t clear that universities have developed an understanding of the PLA and how their collaboration with it differs from familiar forms of scientific collaboration. To date, there’s been no significant public discussion on why universities should be directly contributing to the technology of a non-allied military. Importantly, there’s also little evidence that universities are making any meaningful distinction between collaboration with the Chinese military and the rest of their collaboration with China. Government research agencies have also engaged in collaboration with the PLA. For example, researchers at the Australian Government’s Commonwealth Scientific and Industrial Research Organisation (CSIRO) have collaborated with NUDT scientists on cloud computing technology. General Yang’s recent promotion to membership of the 205-member 19th CCP Central Committee and to leadership of the Academy of Military Sciences, the PLA’s premier research institution, reflects Xi Jinping’s emphasis on ‘rejuvenating the military with science and technology’.28 It was probably also a recognition of the success with which Yang developed NUDT’s international ties. PLA scientists come from a wide range of institutions and disciplines within the Chinese military. Analysing peer-reviewed publications co-authored by PLA scientists and overseas scientists indicates that the US, the UK, Canada, Australia and Germany were, in that order, the top five countries engaged in research collaboration with the PLA in 2017 (Figure 3). Those countries appear to be the primary destinations for PLA scientists sent abroad. The volume of peer-reviewed literature co-authored by PLA researchers and overseas researchers is a rough indicator of the level of PLA collaboration at each university. Figure 3 shows that the leading countries for PLA collaboration by this measure for 2017 were, in order, the US, the UK, Canada, Australia and Germany, indicating that they’re likely to be the main destinations for PLA scientists studying abroad. 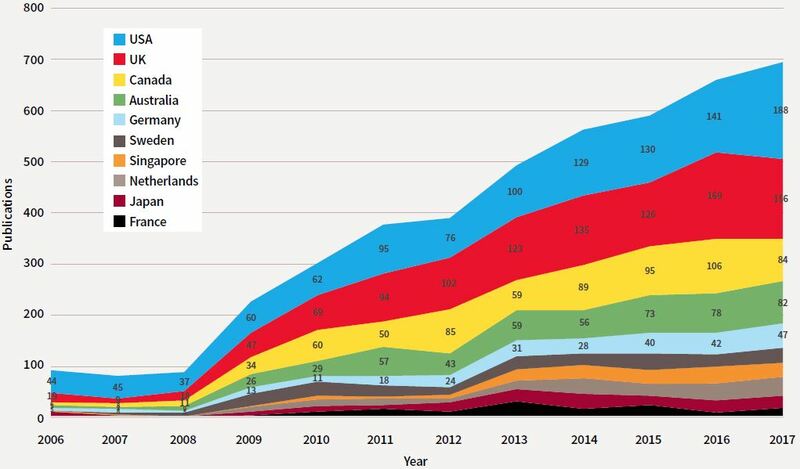 Singapore, Sweden and the Netherlands are other major destinations for PLA scientists. Over the past decade, Australia has been engaged in the highest level of this collaboration among the Five Eyes countries per capita, at six times the level in the US. It’s also possible to estimate the number of PLA scientists sent to each country since 2007, based on the above findings.34 Approximately 500 Chinese military scientists were sent to each of the UK and the US, roughly 300 each to Australia and Canada and more than 100 each to Germany and Singapore. Hundreds more have been sent to other countries, including the Netherlands, Sweden, Japan and France. Party branches have also been used to coerce overseas Chinese scholars. An investigation by Foreign Policy found that some visiting students from Chinese universities who formed party branches abroad were asked to report on any subversive opinions held by their classmates.51 It’s probable that similar kinds of pressure are exerted on overseas PLA researchers. Online communication forms an important part of PLA efforts to maintain discipline among overseas personnel and is complemented by in-person contact. One report stated that students from NUDT’s College of Optoelectric Science and Engineering ‘regularly chat with College leaders by video call and exchange emails with NUDT academic supervisors and student cadres to discuss their thoughts, exchange ideas on academic matters, and clarify points of interest’.52 Regulations on the political education of overseas students by the same NUDT college include provisions for ‘overseas inspection’ and for students to return to China in the middle of their study for ‘remedial education’. The use of cover appears to be managed differently by each institution, some of which use cover far more often than others.62 Cover is also not used consistently within each institution. As described below, PLA Information Engineering University (PLAIEU) researchers have both used cover and openly stated their affiliation at the same conferences. It’s unclear whether this indicates that the use of cover is up to the discretion of each researcher or perhaps that it relates to the sensitivity of a researcher’s work or position in the PLA. NUDT appears to no longer use the ‘Changsha Institute of Technology’ as cover, but it engages in a different kind of deception. A document published by NUDT for students hoping to study abroad advises them that, when providing documentation in their applications to foreign institutions, ‘military and political courses can be excluded’ from their academic records.63 This appears designed to mislead overseas authorities, universities and researchers by downplaying the extent to which NUDT is a military institution and to which these students are military scientists. Scientists from the PLA Rocket Force Engineering University (RFEU, 火箭军工程大学)64, a key research base for the PLA Rocket Force, claim to be from the ‘Xi’an Research Institute of High Technology’ (西安高技术研究所), which appears to only exist on paper. Source: CCTV, 28 October 2016, YouTube. Relations between China and Norway were put on ice when the Nobel Peace Prize was awarded to Chinese democracy activist Liu Xiaobo in 2010, and the Chinese Government was quick to attack Norway for Hu’s expulsion.77 Only in December 2016 did the two countries ‘normalise’ diplomatic relations. Public statements by Norwegian authorities didn’t explain the Chinese scientist’s military affiliation or mention the Xi’an Research Institute, as the information was likely classified. Figure 7: A paper published by Hu Xiaoxiang shortly after his expulsion from Norway, stating an affiliation with RFEU in the Chinese version of the abstract but the Xi’an Research Institute in the English version. A few months later, in September 2015, a court overturned the expulsions. Hu’s lawyer stated after the trial that ‘there is no evidence in the case that my client is part of research collaboration on missiles and weapons with China.’78 The University of Agder lauded the decision as a win for academic freedom. The Norwegian Government later successfully appealed the overturning of Hu’s supervisor’s expulsion. However, it’s unclear whether any appeal was made in Hu’s own case, which hasn’t been made publicly available.79 Neither the Xi’an Research Institute, Hu Changhua nor RFEU was mentioned in the judge’s ruling on the German-Iranian supervisor’s case or any coverage of the expulsions. Among the 40 Chinese military scientists listed as presenting papers at the 9th International Symposium on Mobile Mapping Technology, nine claimed to be from an institution with no apparent military affiliation.80 Most of the other 30 military scientists at the conference, hosted by UNSW in December 2015, were openly from NUDT and a research institute of China North Industries Group Corporation (also known as Norinco Group), China’s largest arms manufacturer; the rest came mainly from the PLA Information Engineering University. same author as affiliated with ZISTI.87 Nearly all of the authors sampled who claimed an affiliation with ZISTI could be shown to be working at PLAIEU. Figure 8: Chinese and English versions of a paper published by a PLAIEU scientist, demonstrating the use of the Zhengzhou Information Science and Technology Institute as cover. Amateur collectors with STEM expertise have been implicated in a high proportion of intellectual property theft and espionage cases involving China.94 Scientists and engineers involved in military research projects, while they might not have received formal training as spies, are uniquely qualified to identify and exfiltrate valuable information to overcome specific hurdles in the development of new technologies. Should universities collaborate with the PLA? Assessing the costs and benefits of research collaboration with the PLA shows that it comes with significant security risks while offering unclear benefits. It isn’t in the national interest of most of the countries examined in this report to help build the capabilities of a rival military. Other forms of cooperation with the Chinese military, such as joint exercises and exchanges that build understanding and communication, are largely beneficial but distinct from the kinds of research collaboration addressed in this report. Training PLA scientists and working with them leads to scientific developments and published research while attracting some funding. A small proportion of collaboration with the PLA appears sufficiently transparent and falls into areas of fundamental research such that the benefits may outweigh security risks. One possible example is cooperation between the American and Chinese governments on the multinational Daya Bay Reactor Neutrino Experiment, which involves NUDT. The forms of PLA collaboration studied in this report don’t promote understanding and relationships between militaries, as they aren’t military exchanges and often aren’t overt. While overseas, PLA scientists remain under the close watch of the CCP, which works to ensure that they remain loyal and aren’t influenced by their experience living in free societies. It’s improbable that PLA scientists working with overseas civilian researchers would share with or disclose to those researchers any significant research breakthroughs of military value. PLA scientists often engage in deception in their interactions with foreign institutions and their staff, making it difficult for those collaborating with them to take appropriate security precautions. PLA scientists could gather intelligence and steal technology while they’re overseas, especially if they’re hiding their military affiliations. Failures to address concerns about PLA collaboration and to develop policies differentiating it from wider engagement with China risk tarring all research ties with China with the same brush. Research collaboration with the PLA contributes to technology that may be used against Australia and its partners in a conflict or for intelligence collection. Universities with ties to the PLA risk eroding trust between themselves and funders of research, such as defence research agencies, scientific agencies and industry. Universities risk reputational damage by collaborating with a non-allied military. Public funding worth millions of dollars is being used for collaboration with a non-allied military, with little to no input from taxpayers. Export controls are the primary mechanism by which countries seek to manage the supply of sensitive technology and goods to overseas entities. However, the ability of export control laws to effectively manage the risks posed by PLA research collaboration is limited. In Australia, few cases of research or cooperation contrary to our national interests are believed to have been prevented through the Defence Trade Controls Act 2012.97 The current review of the Act offers an opportunity to address some of these limitations. There are a few reasons for these difficulties. First, intangible transfer of technology—the primary form of technology transfer taking place through the kinds of collaboration studied in this paper— is extremely difficult to control in practice because it doesn’t involve the export of physical goods.98 Second, the Act doesn’t regulate the supply of controlled technology, which includes instruction and training, to individuals in Australia even if they’re PLA members. Third, some of this collaboration covers emerging technologies, such as quantum physics, that are important but not included in the Defence and Strategic Goods List, as their applications aren’t yet fully known. Export control lists tend to be slow to incorporate emerging technologies, so regulatory power can come well after issues become apparent. Fourth, the Act doesn’t regulate the supply of controlled technology by Australians when they’re outside of Australia, such as training given to PLA members by Australian academics visiting China. The PLA’s collaboration with foreign universities is growing and the expansion of international ties remains one of NUDT’s priorities.99 The developments outlined in this report warrant more attention and different approaches from those currently employed by most governments and universities. Responses to PLA collaboration need to be informed by clear government policies and move beyond export controls, using the full range of tools available to governments and universities. The Australian Government, for example, can do more to work in partnership with our research sector to advance scientific progress while protecting national security and ensuring that relevant research doesn’t advance the Chinese military’s capabilities. Determine what kinds of collaboration with the PLA should be further controlled or even prohibited and establish clear policy on engagement with PLA research organisations and personnel. Foster international discussions on PLA collaboration to develop multilateral responses. Develop interagency responses to PLA collaboration to ensure better integration of efforts by defence and export control agencies, intelligence agencies and immigration agencies. Share information about cases and trends in PLA collaboration, particularly cases of deception by PLA scientists, with partners across the globe. Ensure that companies funding research at universities are aware of any PLA collaboration and understand future measures to control such collaboration. Create a list of Chinese and other non-allied military and military-linked research institutions, including civilian universities heavily engaged in military research, for use by immigration officials. The Australian Government should consider further controlling technology transfer to certain end users. Transfers of controlled technology to PLA members and civilians heavily engaged in military research should be restricted regardless of their geographical location. The Australian Government should create a list of entities posing national security risks that are subject to special export licence requirements, modelled on the US’s Entity List. The government should help universities train and provide resources for staff with export control compliance duties. Work continuously with experienced scientists in emerging technology fields to determine whether and how emerging technologies should be controlled. Introduce legislation that draws on the US Code of Federal Regulations’ rules on defence services, which require those offering training to foreign military personnel to first receive a waiver from the US Department of Defense.103 This could take the form of an expansion of the Defence Trade Controls Act that restricts technology transfer to members of certain governments and organisations. Update internal policies in government research institutions such as CSIRO to limit or ban collaboration with non-allied militaries, particularly in dual-use areas. Funding bodies such as the Australian Research Council should prohibit funding in some areas from being used in collaboration with non-allied militaries. Carefully evaluate any collaboration with PLA scientists on government-funded projects, particularly defence projects. Fields such as artificial intelligence and quantum physics should receive more government funding to ensure that talent and ideas stay in Australia. Universities working in strategic research areas should be encouraged to collaborate with allied military and defence countries rather than non-allied militaries. Produce credible and thorough assessments of the extent of PLA collaboration on campuses. Ensure that those interacting with members of non-allied militaries take appropriate security precautions. Require employees to receive approval before collaborating with or training members of non-allied militaries. This estimate has sought to exclude PLA medical scientists and doctors by not counting those affiliated with PLA medical institutions. Media reports, many of which are cited in this report, were one important source for determining the number of PLA scientists sent abroad. Feng Chunmei 冯春梅, Cai Weibin 蔡渭滨, Li Zhi 李治, ‘Guofang keji daxue shixiang weilai zhanzheng de rencai hangmu’ 国防科技大学 驶向未来 战争的人才航母 [NUDT—An aircraft carrier of talent steering towards future wars], Renmin Ribao 人民日报, 8 August 2013, online, claims that NUDT had sent 1,600 scientists overseas as students or visiting scholars ‘in recent years’. Assuming the 1,600 figure describes the number of NUDT scientists sent abroad between 2007, when the PLA substantially increased the number of scientists it sent overseas, and 2013, this gives roughly 230 NUDT scientists sent overseas each year. Conservatively, this indicates that well over 2,000 NUDT scientists have been sent abroad since 2007. Accounting for the fact that NUDT is responsible for approximately 80% of publications written by PLA scientists with overseas scientists and assuming that represents the proportion of PLA scientists overseas who are from NUDT, this means that more than 2,500 PLA scientists have been sent overseas since 2007. This estimate was also supported by a second set of open-source data which, to prevent the information from being removed, has not been revealed. New Zealand is not counted here, despite being a Five Eyes country. It has high levels of PLA collaboration, especially relative to its population, but is not among the top countries for collaboration more generally. C Uhlmann, ‘China an “extreme” threat to Australia: ASIO’, 9 News, 31 January 2018, online; Bill Gertz, ‘FBI director warns China is America’s most significant intelligence threat’, The Washington Free Beacon, 19 July 2018, online; ‘German intelligence unmasks alleged covert Chinese social media profiles’, Reuters, 10 December 2017. For a discussion of the case of Huang Jing in Singapore, see John Garnaut, ‘Australia’s China reset’, The Monthly, August 2018. Wang Wowen 王握文, ‘Zouchu guomen, dang zuzhi shenghuo “bu diaoxian”’, 走出国门，党组织生活’不掉线’ [Exiting the country, they stay connected with the life of party organisations], Jiefangjunbao 解放军报, 1 July 2015. Section 1286 of the John S. McCain National Defense Authorization Act for Fiscal Year 2019 offers an important starting point for policies on scientific engagement with China and the PLA, seeking to protect scientists from undue foreign influence, safeguard important information and support the growth of domestic talent. See Yangyang Cheng, ‘The future of particle physics will live and die in China’, Foreign Policy, 2 November 2017, for an eye-opening discussion of the level of political involvement in China’s scientific research, even research into particle physics. It appears that most of those sent abroad are PLA ‘civilian cadres’ (文职干部), rather than ranking military officers. While they’re counted as members of the PLA, civilian cadres aren’t combat personnel and often work in technical areas, such as scientific research. See information about civilian cadres at the following link. Peer-reviewed literature is the most accessible but not the only measure of PLA collaboration. Other facets of PLA collaboration include visiting and lecturing at PLA institutions, supervising PLA students and visiting scholars, which are correlated with but distinct from the level of peer-reviewed literature. Findings on peer-reviewed literature by PLA scientists with foreign researchers are based on searches in Scopus, the largest database of peer-reviewed literature, covering 16 PLA institutions and aliases. Hong Kong wasn’t counted together with the PRC mainland. Note that publications by PLA scientists from medical institutions have been excluded. The following institutions and aliases were included in the search: National University of Defense Technology, National Key Laboratory for Parallel and Distributed Processing, PLA University of Science and Technology, PLA Information Engineering University, Zhengzhou Information Science and Technology Institute, Zhengzhou Institute of Surveying and Mapping, Air Force Engineering University, Second Artillery Engineering College, Xi’an Research Institute of High Technology, Academy of Armored Force Engineering, Academy of Equipment Command and Technology, National Digital Switching System Engineering and Technological Research Center, Northwest Institute of Nuclear Technology, China Aerodynamics Research and Development Center, Naval University of Engineering and PLA Electronic Engineering Institute. See the section on international ties, which discusses sending students abroad and building academic ties separately from military exchanges, in Liu Hang (ed. ), 2015 National University of Defence Technology admissions guide. Brian Boyle, ‘Chinese partnerships are vital for universities and global research’, Financial Review, 29 October 2017. Clive Hamilton, Silent Invasion, Hardy Grant Books, 2018, 190–193. Hamilton & Joske, ‘Australian universities are helping China’s military surpass the United States’. Wang Wowen 王握文, ‘Zouchu guomen, dang zuzhi shenghuo “bu diaoxian”’, 走出国门，党组织生活’不掉线’ [Exiting the country, they stay connected with the life of party organisations]. Yang Jungang 杨俊刚, Li Jun 李骏, An Wei 安玮, ‘Guoji lianhe peiyang boshi yanjiusheng moshi tansuo’ 国际联合培养博士研究生模式探索 [An exploration of models of international joint training of doctoral students], Zhongguo Kexue Zongheng 中国科学纵横, 2016, 8:255–256. Zhong Hua 钟华, ‘Yang Xuejun yuanshi: junmin ronghe shixian jundui daxue de kaifangxing’, 杨学军院士：军民融合实现军队大学的开放性 [Academician Yang Xuejun: military–civil fusion is the realisation of the openness of military universities], Zhongguo kexuebao中国科学报, 24 October 2012. James Mulvenon, Bates Gill, ‘Chinese military-related think tanks and research institutions’, The China Quarterly, September 2002, 171:622–623. Yang Jungang 杨俊刚, Li Jun 李骏, An Wei 安玮, ‘Guoji lianhe peiyang boshi yanjiusheng moshi tansuo’ 国际联合培养博士研究生模式探索 [An exploration of models of international joint training of doctoral students]. The cases of Guan Naiyang and Chang Lei, discussed in Hamilton & Joske, ‘Australian universities are helping China’s military surpass the United States’. 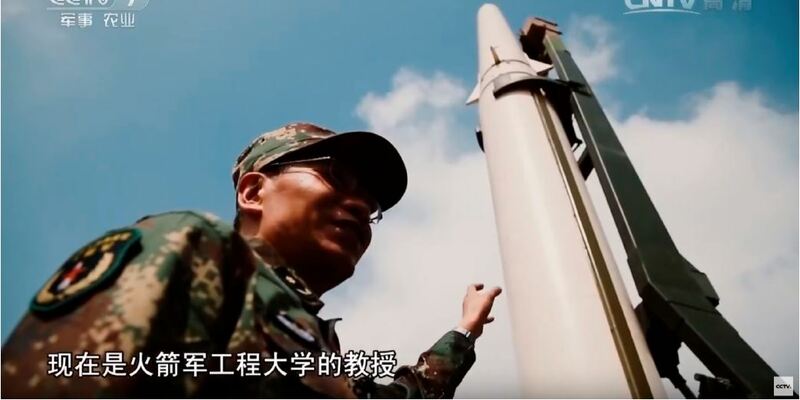 For example, the Chinese Academy of Sciences was used as cover by PLA anti-satellite weaponry expert Yu Xiaohong to travel to the University of Michigan. For further information, see Daniel Golden, Spy schools: how the CIA, FBI, and foreign intelligence agencies secretly exploit America’s universities, Henry Holt and Company, New York, 2017, 36. Given that an estimated 2,500 PLA scientists have been sent abroad since 2007, that figure can be weighted using the proportion of peer-reviewed literature co-authored by scientists from each country with PLA researchers. 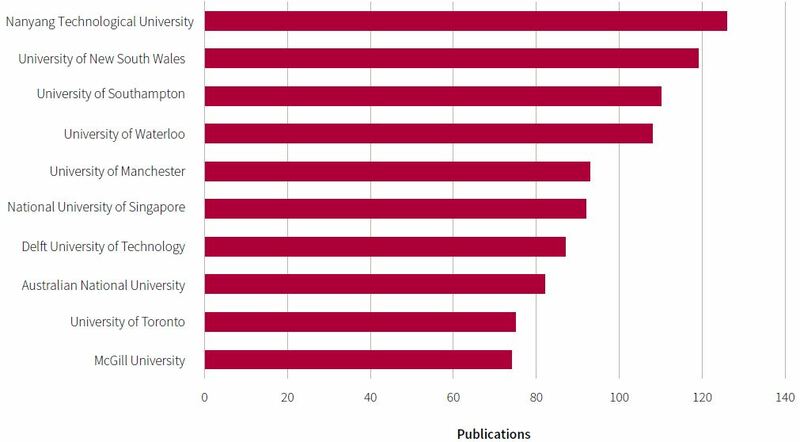 For example, roughly 21% of papers co-authored by PLA scientists and overseas scientists between 2007 and 2017 include a UK-based scientist as an author. Multiplying 0.21 (the estimated proportion of PLA scientists sent to the UK) by 2,500 (the median estimate of the number of PLA scientists sent abroad) gives 525 PLA scientists sent to the UK since 2007. Note that one major shortcoming of this methodology is that publications may be counted twice if they include authors from China and two other countries. Notably, no American institution was among these universities, despite the US being one of the primary destinations for PLA scientists. This may indicate that PLA collaboration in American universities is spread more broadly between institutions, rather than being concentrated in a handful. It may also be a reflection of the limitations of relying on collaboration on peer-reviewed literature as a measure of PLA collaboration. Kai Bongs, Leonard J Pietrafosa, Xue Jingling and Tao Dacheng, as named in NUDT 2018 doctoral student recruitment guide, NUDT, August 2017, online. New Zealand Scientist Gao Wei (高维) was also listed as an NUDT supervisor in 2017. Feng et al., ‘Guofang keji daxue shixiang weilai zhanzheng de rencai hangmu’ 国防科技大学 驶向未来战争的人才航母 [NUDT—An aircraft carrier of talent steering towards future wars]. Wang 王握文, ‘Zouchu guomen, dang zuzhi shenghuo “bu diaoxian”’, 走出国门，党组织生活’不掉线’ [Exiting the country, they stay connected with the life of party organisations]. Zhong 钟华, ‘Yang Xuejun yuanshi: junmin ronghe shixian jundui daxue de kaifangxing’, 杨学军院士：军民融合实现军队大学的开放性 [Academician Yang Xuejun: military-civil fusion is the realisation of the openness of military universities]. Zhong 钟华, ‘Yang Xuejun yuanshi: junmin ronghe shixian jundui daxue de kaifangxing’, 杨学军院士：军民融合实现军队大学的开放性 [Academician Yang Xuejun: military–civil fusion is the realisation of the openness of military universities]. Wang 王握文, ‘Zouchu guomen, dang zuzhi shenghuo “bu diaoxian”’ 走出国门，党组织生活’不掉线’ [Exiting the country, they stay connected with the life of party organisations]. Mark Jennings, Sam Sachdeva, ‘Papers shed light on Yang’s past’, Newsroom, 20 October 2017, online. 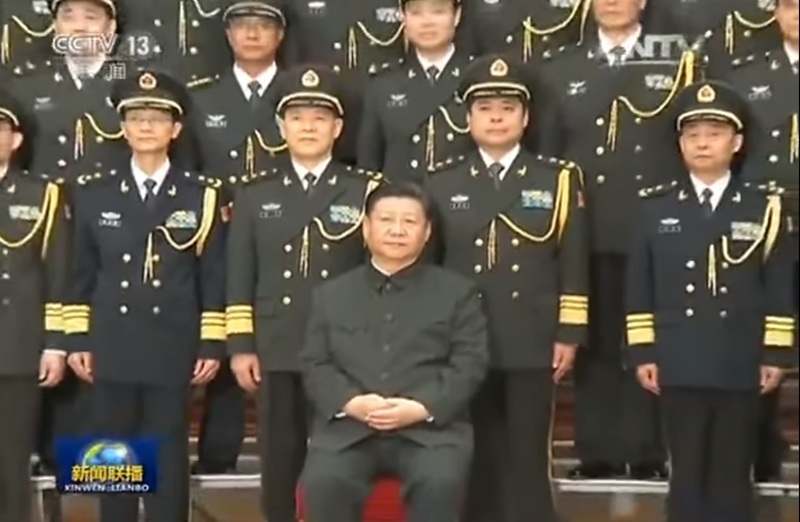 See Anne-Marie Brady, Magic weapons: China’s political influence activities under Xi Jinping, Wilson Center, September 2017, for a more detailed discussion of Yang Jian with important context on the CCP’s influence in New Zealand. Matt Nippert, ‘OIA documents confirm National MP Jian Yang did not disclose military intelligence links’, NZ Herald, 19 October 2017, online; Li Jingwei, ‘Do everything you do; chances come to you’, GP Global People, 2013, online; Alex Joske, ‘Incident at university pharmacy highlights a divided Chinese community’, Woroni, 26 August 2016, online. Yang Jiang’s PhD thesis is available. Between 2000 and 2015, English-language publications from a cover institute for the Rocket Force Engineering University, the Xi’an Research Institute of High Technology, outnumbered those published openly by the Rocket Force Engineering University. Xiaoxiang Hu et al., ‘Model predictive control-based non-linear fault tolerant control for air-breathing hypersonic vehicles’, IET Control Theory and Applications, 2014, 8(13):1146–1153. Hu X, H Karimi, Zhang D, Gao D, ‘Non-fragile sliding mode control for flexible air-breathing hypersonic vehicles’, Proceedings of the 2012 7th IEEE Conference on Industrial Electronics and Applications, 2012, 906–911. A Scopus search for ‘Zhengzhou Institute of Surveying and Mapping’ and ‘Zhengzhou Inst. Of Surv. And Mapping’ on 27 August 2018 found 285 papers, excluding years prior to 2000. See, for example, Zhu Xinhui, et al., ‘A Unified Global Reference Frame of Vertical Crustal Movements by Satellite Laser Ranging’, Sensors 2016, 16, 225. Global Navigation Satellite Systems Research Centre, Visitors and guest researchers, Curtin University, 15 June 2016, online. For an example of Guo’s research, see Guo Jianfeng 郭建锋, Zhao Jun 赵俊, ‘Cucha tance yu shibie tongji jianyanliang de bijiao fenxi’ 粗差探测与识别统计 检验量的比较分析 [Comparative analysis of statistical tests used for detection and identification of outliers], Cehui Xuebao 测绘学报, 2012, 41(1):14–18. A Scopus search for the ‘Zhengzhou Information Science Technology Institute’, ‘Zhengzhou Institute of Information Science and Technology’ and ‘Zhengzhou Information Science and Technology Institute’ on 3 October 2018 found 1,317 papers. 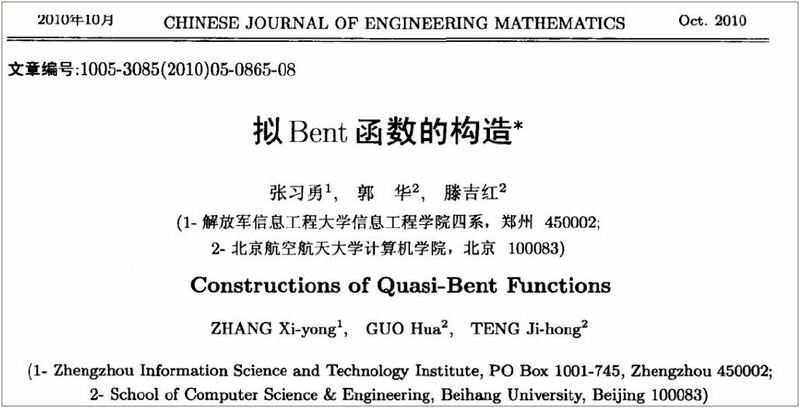 Zhang Xiyong 张习勇, Guo Hua 郭华, Teng Jihong 滕吉红, ‘Ni Bent hanshu de gouzao’ 拟Bent函数的构造 [Constructions of quasi-Bent functions], Gongcheng Shuxue Xuebao 工程数学学报, 2010 (05). Zhu Yijun et al., ‘Low complexity adaptive spatial modulation for visible light communication’, Journal of Jilin University (Engineering and Technology Edition), 2015, 6:2080–2084. 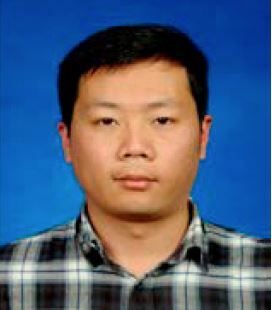 Dr Jian-Kang Zhang, Department of Electrical and Computer Engineering, McMaster University, Biography, online; Yijun Zhu, Jiankang Zhang, Hongyi Yu, ‘Linear receivers for full-diversity training space-time block codes’, IEEE Transactions on Vehicular Technology, July 2012, 61(6):2884–2889. No further details have been provided in this report owing to potential confusion with other individuals’ names. Similar activities have been mentioned in N Eftimiades, Chinese intelligence operations, Frank Cass, Ilford, 1994, 61–66, which describes a Chinese student with a background in hard sciences who was recruited by the Ministry of State Security as a long-term agent before he went to study in US. He was advised not to contact Chinese authorities at all while abroad but to make sure to return to China at least once every two years for debriefing. The emergency contact number he was given was that of a provincial office of COSTIND, a Chinese Government agency responsible for coordinating the defence industry. See the recent arrest of a Chinese electrical engineer in the US, US Department of Justice, ‘Chinese national arrested for allegedly acting within the United States as an unregistered agent of the People’s Republic of China’, media release, US Government, 25 September 2018, online. See also the cases of Greg Chung and Chi Mak in Yudhijit Bhattacharjee, ‘How the FBI cracked a Chinese spy ring’, The New Yorker, 12 May 2014, online. For a compilation of industrial espionage cases in the US involving China, see the appendix to William C Hannas, James Mulvenon, Anna B Puglisi, Chinese industrial espionage: technology acquisition and military modernisation, Asian Security Studies, Routledge, 2013. Anonymous, ‘Guofang keda jinnian zhichi 600 duo ren chuguo shenzao 100% anshi huiguo’ 国防科大近年支持600多人出国深造 100%按时回 国 [NUDT sent over 600 overseas for development in recent years—100 per cent returned on time]. See more detailed recommendations on improvements to visa screening in Vicente Garrido Rebolledo, ‘Intangible transfers of technology and visa screening in the European Union’, Non-Proliferation Papers, March 2012. This publication is subject to copyright. Except as permitted under the Copyright Act 1968, no part of it may in any form or by any means (electronic, mechanical, microcopying, photocopying, recording or otherwise) be reproduced, stored in a retrieval system or transmitted without prior written permission. Enquiries should be addressed to the publishers. Notwithstanding the above, educational institutions (including schools, independent colleges, universities and TAFEs) are granted permission to make copies of copyrighted works strictly for educational purposes without explicit permission from ASPI and free of charge.